Pugatch Consilium has launched the third edition of the Biopharmaceutical Competitiveness & Investment (BCI) Survey: The Race for Biopharmaceutical Innovation. A global executive opinion survey and index of economies’ attractiveness for biomedical investment, in 2016 the BCI covers 28 strategic markets and gauges individual markets in relation to others with similar levels of development. The study was released in Washington DC and Ottawa, Canada, with other local and regional launches to take place throughout the remainder of the year. Pugatch Consilium’s Biopharmaceutical Competitiveness & Investment Survey – known as the BCI – gained much attention when presented by Taiwan’s Vice-President, Chien-Jen Chen in his opening remarks at the BioBusiness Asia Conference which took place last week in Taipei. Is it finally time for a change? India continues to sit on the sidelines of international intellectual property laws. 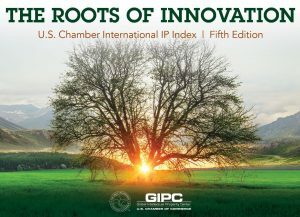 Article by Dr. David Torstensson, a partner at Pugatch Consilium and part of the team that took part in the construction and authorship of the US Chamber’s International IP Index.